Way back in the Spring of 2013 when I knew that the time had come for me to leave my old beloved worship community, I proposed to a friend of mine that we start our own feminist Bible study, since I knew there are no other feminist worship communities anywhere and she said, "yes." Sure, there are progressive churches and fortunately, I have found one that I truly like, but a place where I can delve deeply into feminist theology and debate and vent about the patriarchy and how it affects how we relate to scripture, our world, and a place where I can help to raise women's consciousness, so that they know there is a better more egalitarian and process-y way of viewing the Bible, Christianity and life, in general is my goal and even an extraordinarily progressive Christian church is not going to totally meet those needs unless it directly calls itself feminist, and last time I checked there is no feminist denomination with a capital "F."
What I have learned in recovery is that I have to take care of myself and my needs and my spiritual desires and passions are a need for my soul. So, my friend and I had our first meeting two weeks ago and it was very exciting! It certainly boosted my self confidence knowing that people trusted me to led a theology/Bible study group even though I haven't attended seminary. I was also pretty anxious, but I handled it expertly by being extremely prepared (I had all of my extensive notes in front of me), by reminding myself that I did not need to be perfect, by being fully in the moment once the group started, and by sharing the work load with my friend. Of course, I did realize that it would probably be a good idea for me to start reading more of my theology books in preparation for the group instead of letting them sit around and collect dust. 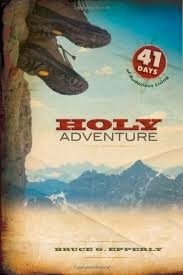 I decided to ease my way back into it by picking out the easy to read process devotional by Bruce G. Epperly called Holy Adventure: 41 Days of Audacious Living. It was recommended to me by my super smart theologian friend, Monica A. Coleman. 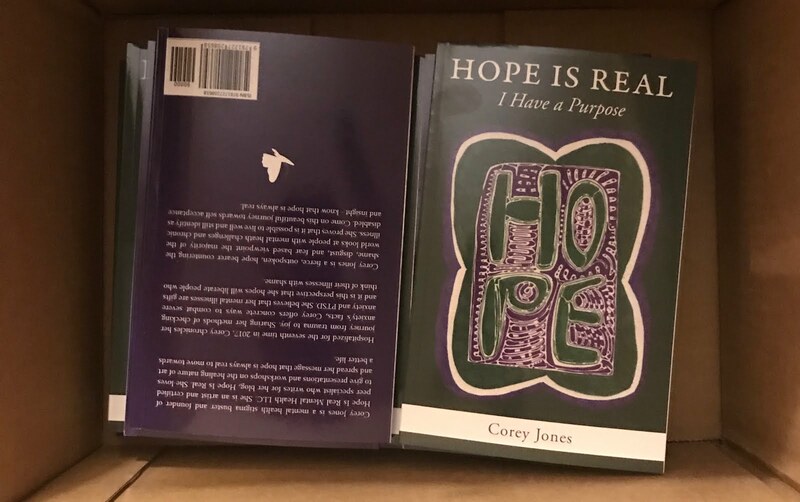 Holy Adventure was written as a response to Rick Warren's famous A Purpose Driven Life and it counteracts the idea that we have one purpose supplied by God that we must figure out or we are doomed to be living against God's Will. Instead, Epperly invites us to be open to the healing found by being open to the mysterious moments in our lives and then be willing to act on the best of those possibilities. This philosophy resonates with me, as I too do not follow Rick Warren's view of a set plan. Sure, I have certain traits and talents, but nothing is set in stone-Godde and I together shape my destiny-together, not Godde alone. I really enjoyed the devotional. I didn't read it as a devotional though, meaning I didn't read it one day at a time, but then I never do-I simply lack the patience for regular devotional reading. 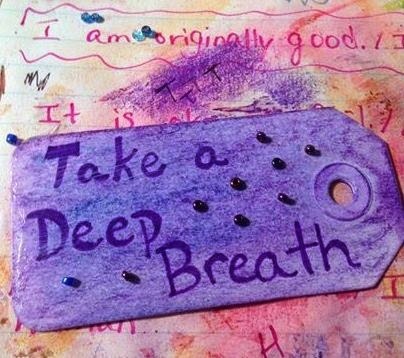 Each day has a guided meditation where you're supposed to imagine a certain scenario, which I think is very creative, but it is another element that I am yet again too impatient for, but I feel that I may be able to use it the second time reading it. 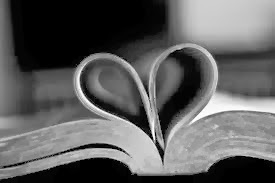 Each week is a different theme and I enormously liked the fact that he covers difficult topics that most devotionals will not touch-even though the book is very easy to read, he does not treat his audience as a simpleton. Words cannot express my gratitude on that aspect! My favorite chapter is "Healing Adventures" and its about our bodies, ideas on healing, disease, and the mind body connection. Epperly is a very compassionate writer and he addresses mental illness, developmental disabilities and the possible need for therapy in a very non-stigmatizing way and I so appreciate that. The book has a study guide in the back, so if my feminist Bible study group ever wants to take a break from the Bible and wants to explore process theology instead, this would be an excellent book to use. I wrote a lot of the sentences in my quote book. I recommend the book-I know I'll end up rereading it over and over again-and if you live in Atlanta and are a Christian feminist, then I advise you check out my feminist Bible study - Feminist Bible Explorers! What a great friend you must have, helping you work on this feminist Bible study group!